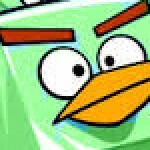 Below are all Angry Birds Star Wars II Achievements listed in Game Center and their point values. If you happen to discover any secret achievements, please let us know. Need help finding Bonus Boxes? Our guide will help! Good job @chriss! I’m only missing the 24h one. In order to get them all, do you have to purchase them & swap out during game play?????? Is that the only way? For now, yes. More characters will be playable in normal gameplay in future updates. That’s what I figured. I guess I just have to wait!! Thanx 4 help with all the AB’s! So in order to get it right: we need to buy telepods to get all the achievements? In v1.0.x it’s possible to unlock all achievements via in-game Bird Credits. Unfortunately, I actually have that achievement. However, I just left the game on during a level I was trying to 3 star. For Star Wars II, achievements can be earned in-game on Android. Click the medal in the bottom-center of the Episode Selection Screen, for example. how do the Reward Chapters levels work????? How about a link to the discussion about how best to earn the required number of points? @Kiwi62 See our Complete Bonus Boxes Guide for a full listing. Yes it is bird flung. I got the Galatic Squad achievement while not completing the level I was playing. @amslimfordy: I asked a question here, but it’s gone now. Did you delete it? In case it was a mistake, I repeat my question: before this update, the maximum of achievements was 84. Now the maximum is 94, so there must be 10 new achievements. I know that there is an achievement for each new character, but there are only 8 characters. Which are the other 2 new achievements??? We will be updating the list soon. That’s good, Slim. For some reason it shows me those achievements as achieved, that’s why I don’t know which are the new ones. So I’d appreciate it if someone could tell me which of the achievements are the new ones. Thanks in advance. 8 characters, 2 “Chapter 1” score thresholds, and Rovio Accounts. Oh, I see. Thanks. 2 new achievements for chapter one? That’s strange, but that’s how it is. The two new Ch 1 achievements are just a way to give out the free swaps of the new characters without giving them automatically to new players in the future. So in other words current players will get them automatically but new players will have to play a couple of levels before getting them. Oh I see, that makes sense! Does anyone notice theres a additional achievement for Samsung Galaxy Tab 3 where you can get free 1000 credits? Its for this device only. This was reported above, @chiiyuen0109. With the new update, did anybody see the bug of the achievement “Galactic Empire” fixed ? For my part I am always surrounded with Galactic Army. @grimmjow it seems not fixed yet. I still did get get the achievement. @joeyba : I don’t understand. It’s not fixed but you get the achievement ? It’s not fixed. Neither the progress bar nor the achievement itself is listed in the “overall” section. But this does not mean that you cannot get the achievement, I believe. At least people who have Game Center should see the achievement there when they have launched 10,000 attacks. But I’m not sure. @grimmjow sorry I meant to say “did not get it” typo.. I counted and I reached 10.000 even without taking into account 1.000 of the previous achievement. And no releasing. What? You had 1000 from the previous achievement and then you counted 9000 more attacks while you were playing? Wow. And you did not get the new achievement? In case you counted correctly, maybe you should contact Rovio about it. Since the progress bar is not there any more, I don’t even know how far away I am from 10,000 attacks. @chriss @grimmjow I launched at least 5000 attacks and still nothing also. Then it seems to be a big bug. This is already the 3rd version with this bug. And we contacted Rovio months ago, but the bug is still there. I have 99/100 achievements (100/101 when playing on Galaxy Tab 3 ;) ), but I can’t find what I’m missing. Maybe I’m suffering a case of “Galactic Empire Bug”? Is there any list showing all of the achievements and the associated points for the android version of the game? Maybe there is a point conversion factor — something like 5 game center points equal 100 android version points? Sometimes an achievement whizzes by and I’m uncertain how many points I just gained or the name of the achievement . The screenshot in android is unreliable for a quick picture that zooms past. Worse, I’m almost certain that some achievements which happened that are not listed. I gained a hundred points almost at the beginning for an achievement that I can’t find documented anywhere. Has anyone noticed that the Level Lord achievement is bugged? I’ve cleared well over 125 levels not counting bonus levels or reward chapter levels & I still don’t have it. @reactive1 In-game, how does the progress meter look? I can only get 115/116 acheivements. I looked at everything and it says I have them all, all levels have 3 stars all charachters unlocked and 3 stars there as well. Is there a hidden acheivement that is not shown somewhere? There are only 98 achievements for ABSW2. Can you please give us more details? @ By Ben: It’s not intentionally hidden, it’s bugged. It’s the “launch 10’000 attacks” achievement. @sal9: There are 98 achievements in Game Center for iOS, but in the game there are really 116 achievements (=medals). I achieved the corresponding lesser milestones last year and should definitely have attained these by now but they are not showing as options in game nor are they showing as completed in Game Center. Given they do not appear at all I am unable to check on the progress bar. Any ideas on how to fix this? I am playing on the latest iPhone version. I’m only at 7% with Leia and can’t seem to make up the 100,000 I have all the rest of the character completed with 3 stars in the reward level she’s the last one I need HELP please??? @whbinder: Galactic Empire is bugged for over a year now. Really annoying. I Completed Pork Side Opened And Path Of The Jedi. I have all but “Star Destroyer” & “The force is stronge with this one”. Have achieved over 40mil points. Anyone know to get these? I am 154/156. I don’t have Level Lord, Galactic Empire or The Force is Strong with this One IV. I met the requirements years ago.